If you woke up this morning and couldn't believe the world had not yet stopped spinning, you aren't alone. Donald Trump is the president-elect, despite pre-election polls that indicated Secretary Hillary Clinton would win the election. 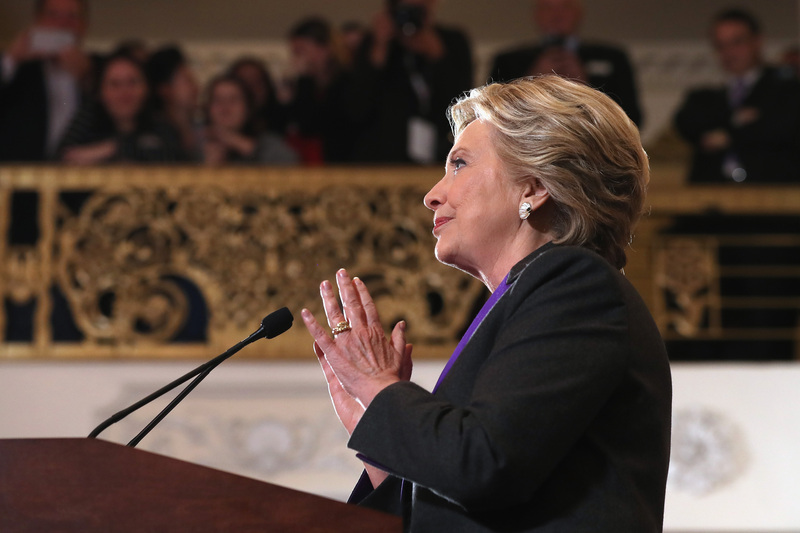 In another frustrating twist, Hillary Clinton underperformed among Millennials in the presidential election, and everything is so, so disappointing. I know it's easy to use Millennials as a punching bag, and trust me, writing this is hard. But, as much as I hate to say it, our generation may bear some responsibility for Trump's victory on Tuesday. The youngest Millennials turned 18 in 2015, which means that all 69-plus million of us are eligible to vote. Even though 18- to 44-year-olds — an age range that includes all Millennials, younger Gen-Xers, and the oldest Gen-Zers — voted overwhelmingly for Hillary Clinton, the Democratic nominee did not see the levels of support from younger generations that her predecessor, President Obama, received in 2008 and 2012. In the months leading up to the election, no less than U.S. News & World Report and NPR questioned whether Millennials would exercise their constitutional right and do their civic duty. Since Pew Research Center began tracking the Millennial vote in 2004, no more than half of the Gen-Y set has hit the polls in any given presidential election. These two factors — the reduced support for Clinton and the abysmal turnout among Millennials — contributed directly to Trump's victory in the 2016 election. As one Howard University interviewee observed, "Millennials are unimpressed with who is running and feel as if they’ve been backed into a corner with this election. The whole getting the ‘lesser of two evils’ is causing millennials to feel that they’re just not going to vote at all." Take this from someone who voted in her first-ever presidential election for Jill Stein and deeply regretted it: the next time you think that it's too hard to decide, or someone tells you your vote doesn't count, remember Nov. 8, 2016.